At least two people have died and others have suffered "catastrophic injuries" after a suspected terrorist attack in London. 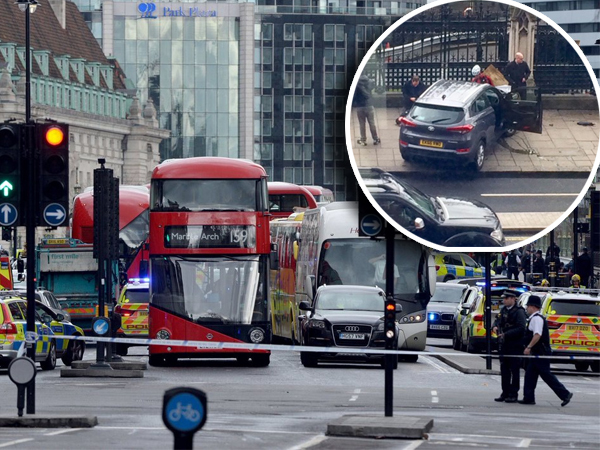 Details are still sketchy, but according to Sky News, the suburb of Westminster in the British capital is on lockdown after a "terror attack" where a man ploughed a car into pedestrians before stabbing a police officer outside Houses of Parliament. Sources told the outlet that the incident had claimed two victims. BBC is reporting the attacker was shot by police. Commander BJ Harrington of the Metropolitan Police said there were "a number of casualties", including police officers. He could not comment on how many people had been injured. Scotland Yard has asked anyone with photos or footage of the attack to come forward. The public should remain vigilant, Harrington said, and dial 909 should they see anything suspicious.